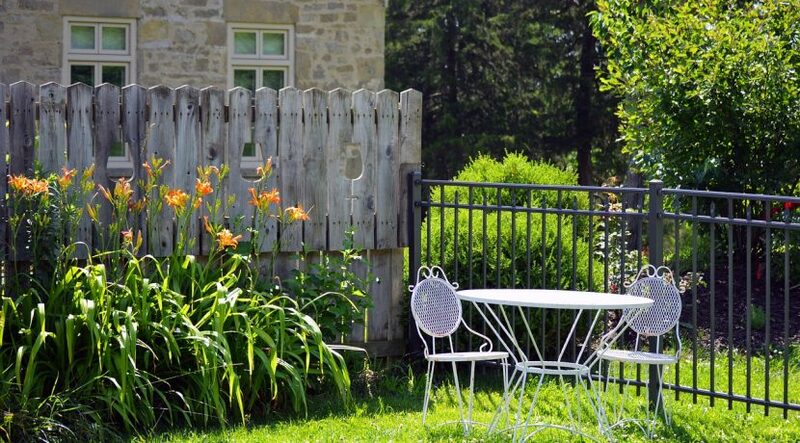 Use these timely guidelines to keep your garden looking beautiful through the summer. Spreading a 2-inch-deep layer of mulch over your soil is one of the best things you can do for your garden. The mulch blankets the ground, shielding the soil from the sun. This keeps it cooler, so your plant roots are happier, and prevents moisture loss from evaporation. Happily, there’s not a single best type of mulch. Anything made from organic matter — shredded wood, pine straw, a mix of grass clippings and shredded leaves, etc. — is going to help your soil in the long run as it decomposes and adds to your soil structure. Many pesky weeds love summer heat and quickly take the jump from tiny to gigantic. It’s important to pull them from your garden, because weeds steal moisture and nutrients from your plants. Many weeds also encourage insect pests and diseases to pop up in your garden. Weeds are easiest to pull when they’re young and small. They also come out of the ground easiest when the soil is moist. Another reason to get them while they’re young: You can stop weeds from producing seeds. A single dandelion plant can produce 2,000 seeds in a year. A weed such as lamb’s quarters can produce 150,000 seeds in a year. That’s a lot of future weeding you can save yourself from doing! Once summer heat arrives, many spring-blooming annuals such as pansy, viola, and osteospermum fade. Make your yard look its best by pulling out the spent plants and replacing them with heat-loving varieties such as angelonia, lantana, ageratum, coleus, pentas, portulaca, salvia, sweet potato vine, and zinnia. Heat-loving annuals grow quickly in warm temperatures and will soon provide a beautiful burst of color. Note: Don’t be afraid to renew color in your landscape by replacing summer annuals damaged by drought, pests, or diseases. Keep mums, sedums, asters, and other fall-blooming perennials standing tall by pinching the top inch or two of new growth. You can do so up to the Fourth of July. Pinching the tops of the plant typically gives you a more compact, sturdy specimen. It may also give you more blooms from the sideshoots that develop, though the blooms are typically a little smaller and appear a couple of weeks later. Remove spent blooms from many of your annuals and perennials, and you might see more flowers! Called deadheading, this process prevents plants from producing seeds so they put more energy into beautiful blooms. Deadheading cuts back on future efforts, too, for plants that self-seed. Perennials (such as columbine, coneflower, cup plant, false sunflower, garlic chives, and verbena) and annuals (such as datura, flowering tobacco, kiss-me-over-the-garden-gate, larkspur, and spider flower) can self-seed to the point of being weedy in the garden. 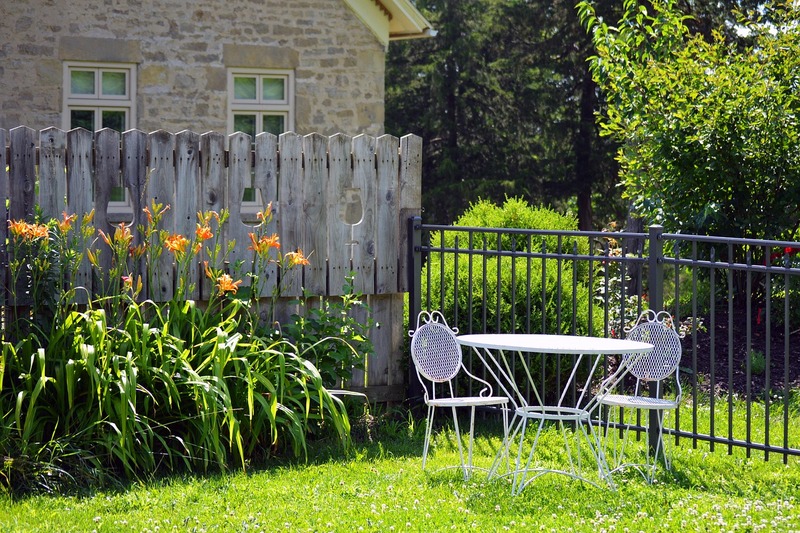 Like weeding, keeping an eye on pests and diseases in your yard should be done all year. But midsummer seems to be particularly popular for these gardening obstacles. If you experience dry summers, or a dry weather pattern, you may wish to water your garden to keep it looking its best. Most common garden plants prefer an average of 1 inch of water a week. It’s best to apply that inch all at once to encourage plant roots to sink down more deeply in the soil. When watering, apply water directly to the ground rather than getting a plant’s foliage wet; water sitting on the leaves can lead to disease. Soaker hoses are great for this! Raise the height of your lawn-mower blade if you have cool-season grasses such as Kentucky bluegrass, ryegrass, or fescues. More leaf surface keeps the plants healthier during hot, dry weather. Vegetables fall into two basic categories: Cool-season and warm-season. The warm-season varieties — tomatoes, eggplants, peppers, cucumbers, summer squash — are all going now. Once temperatures cool, these plants will fade. Enjoy continued harvests by planting cool-loving vegetable seeds — including broccoli, carrots, kohlrabi, lettuce, and spinach — now so you can enjoy fresh, delicious harvests this autumn. Learn more about fall vegetable gardening. Most types of iris typically enjoy being divided every three to four years to keep them vigorous and blooming well. The best time to divide them is in summer, when they’re dormant. Keep your yard colorful by adding flowers that bloom in late summer, especially if your garden is starting to feel tired. Many shrub roses are excellent picks for bold color in August, as are new sterile varieties of butterfly bush (such as the Flutterby, Buzz, and Lo and Behold series). Don’t let hot weather keep you out of the vegetable garden. Keep up with your harvests to encourage your plants to continue producing and limit pest and disease problems. Insect pests in particular are attracted to overripe vegetables that fall off the plant and begin to rot.